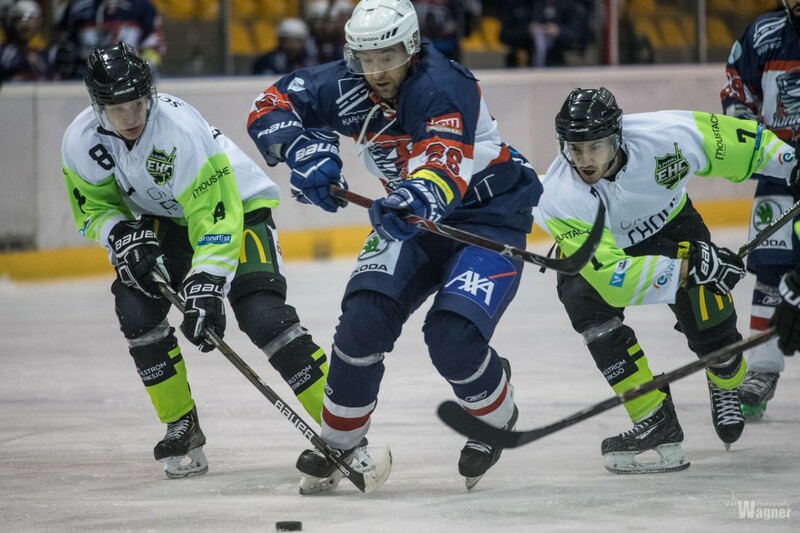 Epinal's stars didn't give Tornado a chance in the end. Anthony Rapenne 3+3 (3 golas and 3 assists), Jan Plch 2+4. Those guys are the reason why Epinal beat Tornado on Saturday evening in Kockelscheuer. Both of the players have played in League Magnus as professionals, Rapenne still last season, and one can really see and feel that on the ice. The movement and the puck possession is on a different level than any other in this league. The first period started with a rather even game. It was surprising that skilful Epinal had problems with their breakouts and Tornado managed to interrupt many passes and build some scoring chances. Still it was Epinal who managed to score twice in the end of the period. In the second period Tornado had its momentum. Before the halfway of the game, through goals by Teemu Hinkula and Shorty Müller, Tornado managed to tie up the game to 2-2. One could say that in this period Tornado really could challenge the unbeaten group leader in 5 vs 5 game. Unfortunately that's not enough as ice hockey is often decided in special teams. That is the moment when Epinal's skilful hockey legends can make the difference on ice. After 40 minutes the game was 3-2 to Epinal. In the third period one could see how much hockey is about the small things. In one moment Tornado had a change to score and get back into the game to 3-4, but after not succeeding in that Epinal had a counter a attack and the game was suddenly 5-2 to Epinal. Maybe that broke the spine and in the end Tornado couldn't get back the spirit and the game ended finally 6-2 to Epinal. Even though the results was clear have to say that this game brought the spirit back to Tornados after some hard time. I think it's time to thank Epinal for a good hockey game and especially their loud fans who were numeorus (maybe 200) and built up a nice atmosphere in Kockelscheuer on this Saturday night. I hope our loyal fans enjoyed it as much as we players did. It feels privileged to be able to be part of something like this. Now it's time to breath a bit and give some time to our families and the close ones. We want to wish you are very peaceful Christmas. See you next year and #biggertogether! Written by Teemu Hinkula, 16/12/2018 17:18.